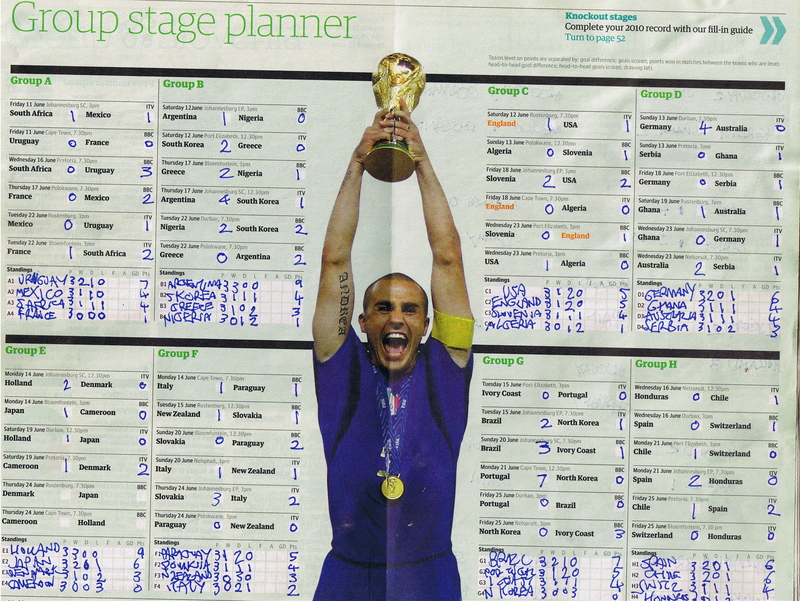 For posterity, I present my completed Guardian World Cup Guide group-stage centre-spread. 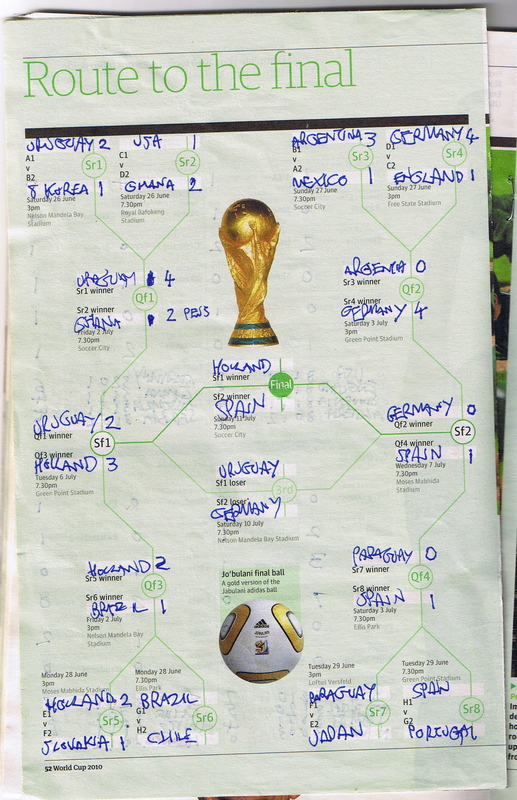 As with all the other international football tournaments I have followed with keen interest in my adult life, the Guardian‘s has been my guide. It’s witty and handsome, and just the right size to manhandle and leave on the coffee table with a pen tucked inside it. Here’s the next page. Not sure why I haven’t filled every single score in, but I like it that way. I’m only human. And sorry about the handwriting.